For growers engaged in Indigo Production, yield and quality improvements are tied to price premiums. Together, these benefits allow growers to significantly increase their profit margins by working with Indigo. This past year, growers with a 40 bushel per acre average production history (APH) made approximately $36.35 more per acre through Indigo Production. For the upcoming season, these same growers have the potential to earn $44.20 more per acre due to additional premiums for quality and identity preservation included in the 2018/2019 Indigo Wheat™ offer. 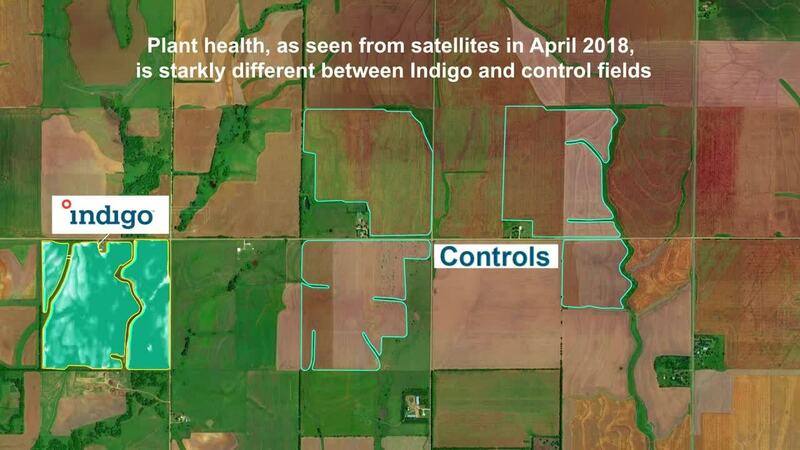 In July, Indigo released an early view of the 2018 data from side-by-side trials on 24 fields across Texas, Oklahoma, and Kansas that showed an average increase of 13%. The commercial data announced today represents 423 fields, 180 growers, 78 counties, and 40,167 acres across these same states. Satellite technology produced expansive imagery that allowed Indigo to collect data on this scale. Analyzing this imagery, the company compared yields of Indigo Wheat fields to those of neighboring fields to arrive at this season’s 12.7% gain.